Researchers spent four years perfecting the recipe for the sensors' materials. Sensors designed to work on a subject's hair are made of a mix of silver and carbon deposited on a flexible substrate. This material allows sensors to remain flexible and durable while still conducting high-quality signals–a silver/silver-chloride coating is key here. Sensors designed to work on bare skin are made from a hydrogel encased inside a conductive membrane. These sensors are mounted inside a pod equipped with an amplifier, which helps boost signal quality while shielding the sensors from interferences from electrical equipment and other electronics. 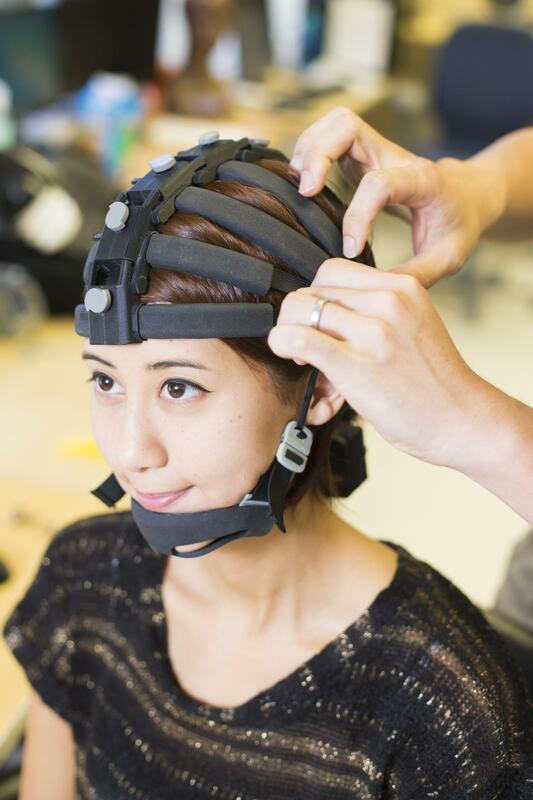 Next steps include improving the headset's performance while subjects are moving. The device can reliably capture signals while subjects walk but less so during more strenuous activities such as running. Electronics also need improvement to function for longer time periods–days and even weeks instead of hours.